The mission of JAX is “to save the world from ugly sweaters one hat at a time!” Designer Jackie Priess started the company back in 2007, when she stitched up a hat for her daughter using a sweater that was on its way to the thrift store. 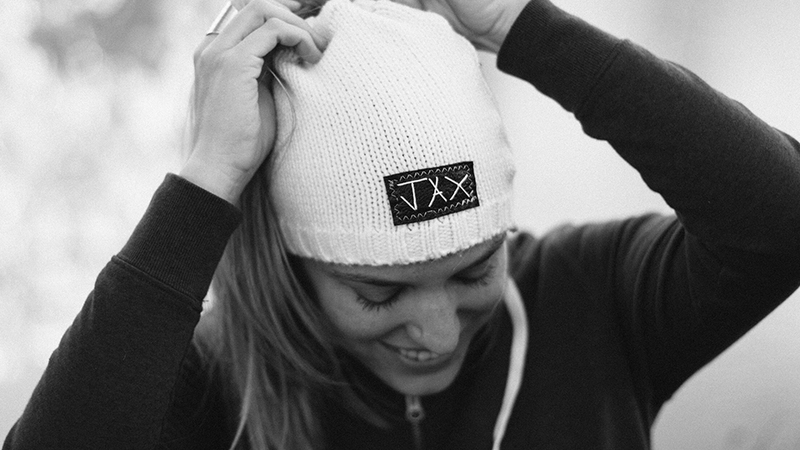 Friends and family raved about the cute, creative head gear and the JAX brand was born. Starting out at local markets and home parties, JAX is now becoming an international brand with women, men, children, and babies all sporting stylish recycled hats and keeping ugly clothing out of the landfill. Flapper, slouch, and beanie styles are available in fabrics from the warmest wool to the softest cotton, so you can style your JAX all year long. JAX has also expanded its line of stylish, wearable, upcycled art to include leg warmers and texting gloves. JAX believes in giving back so every quarter the company donates hats to a local charity or organization, and participates in raffles and auctions. JAX also has a special relationship with Cancer Societies of America and now donates to their treatment centers. So, with every purchase you not only look good, you do good. Find JAX online and at select retailers throughout Central Oregon and beyond.